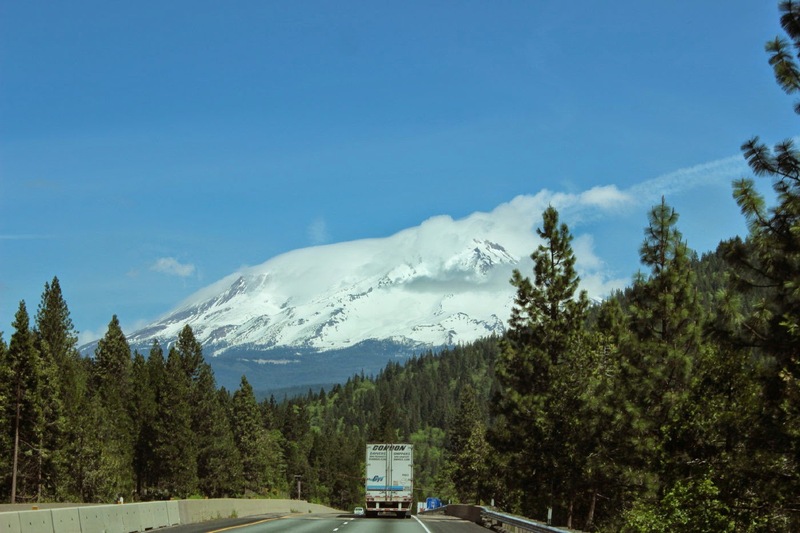 We leave the north entrance for Lassen National Park and head north on Route 89. Another all beautiful woods drive. 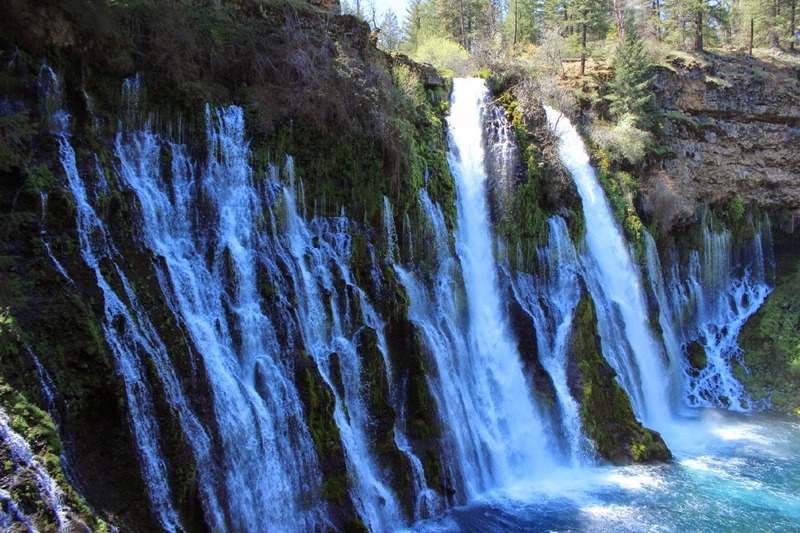 A number of campers had told us about McArthur-Burney Falls State Park. Are we glad we listened! 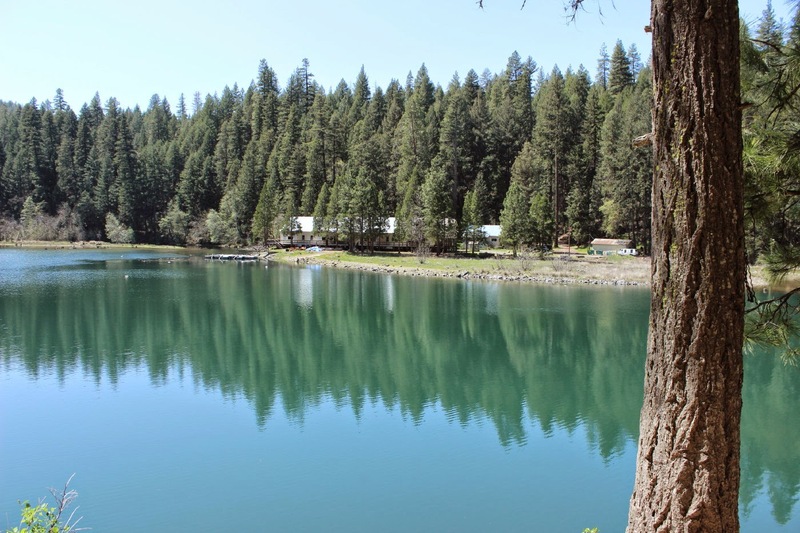 A large park with miles of trails and wonderful camping. Snow from the mountains melts and travels down into underground springs. 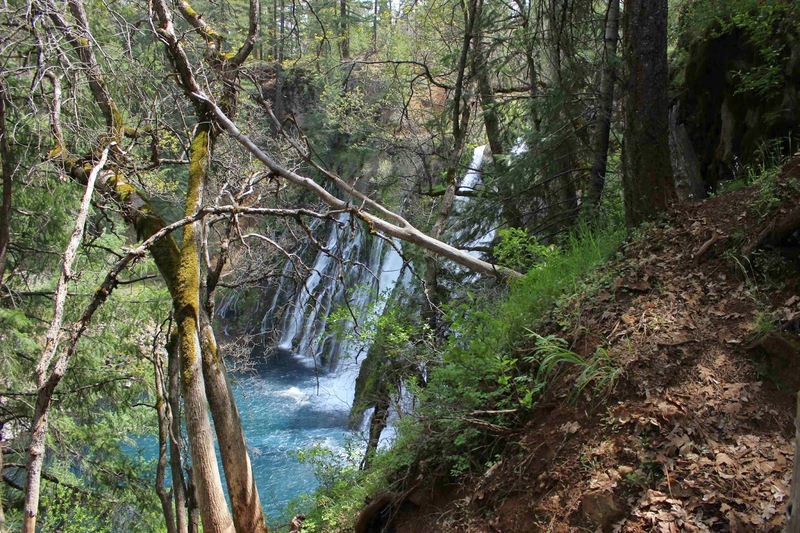 About one mile above the falls the springs come above ground to create the force for these 129 foot high falls. Not all the springs come above ground above the falls. You see many spots here where the water forces its way through the volcanic rock. 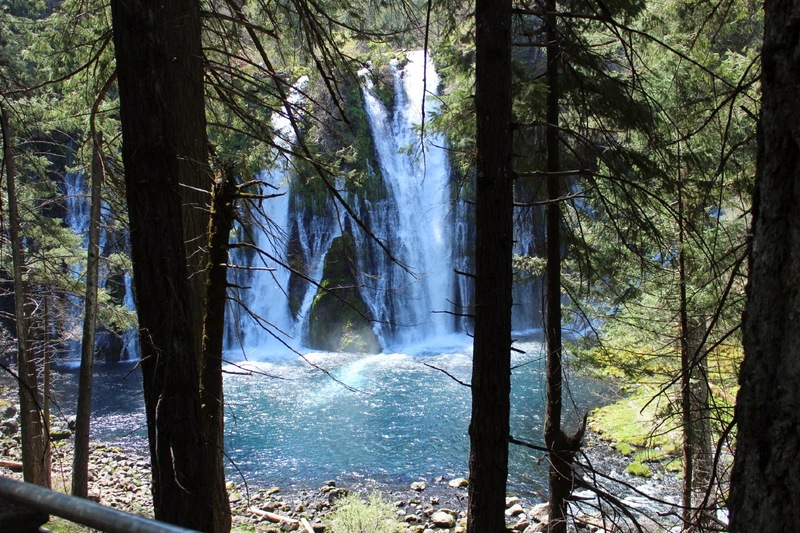 100 million gallons of water flows over these falls each day and there is a 20 foot deep pool at the foot. Water temperature stays a great 48 degrees making for a very cool change of air nearby. This is a very popular fishing spot. 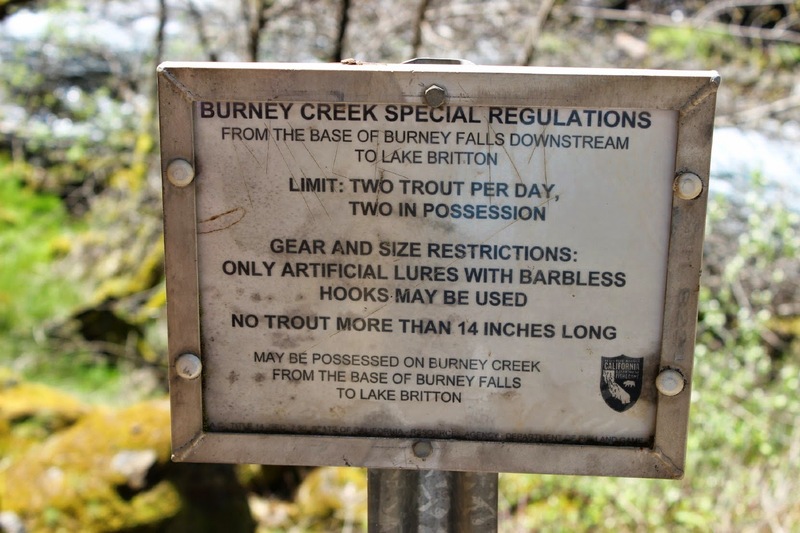 There are many spots along the creek with good access for fishing as well as on Lake Britton. 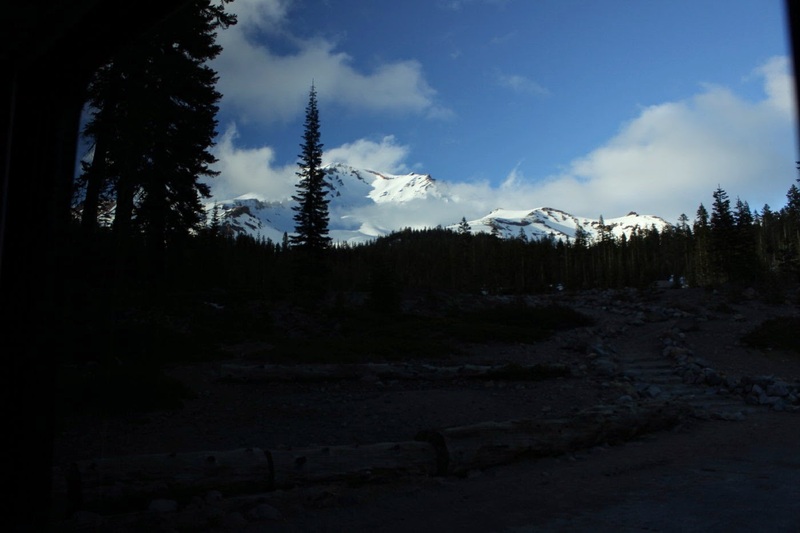 Where Burney Creek comes out and meets Pit River there is this great little camp called Camp Britton. It is for Pacific Gas and Electric employees and retirees. We met some on the trails. They were staying here a week and had rented 6 cabins for 7 days for about a total of $150. (Yep, that's the total for everything and everybody) Of course, we know that many of you have the same perks where you work. Right? 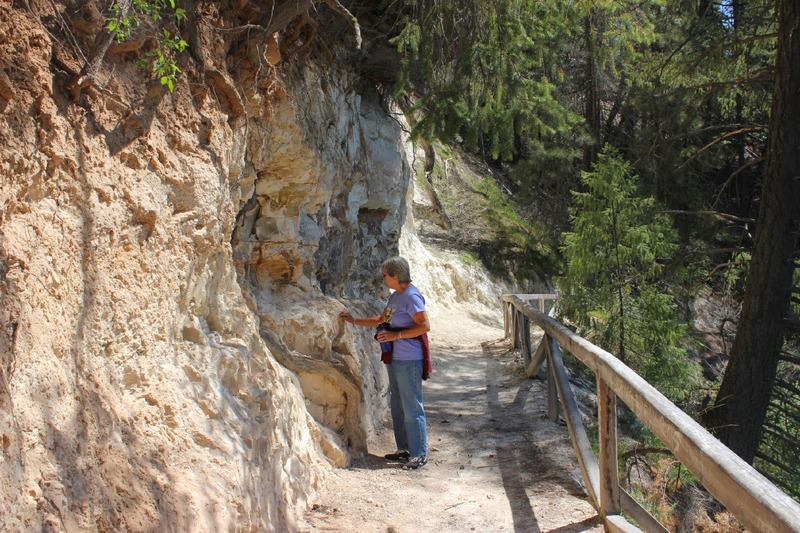 Jan is looking at this ancient wall along the creek trail. About 5 million years ago this wall was under water. Hard-shelled algae called diatoms lived here. When they died they sank and formed this layer of white rock. 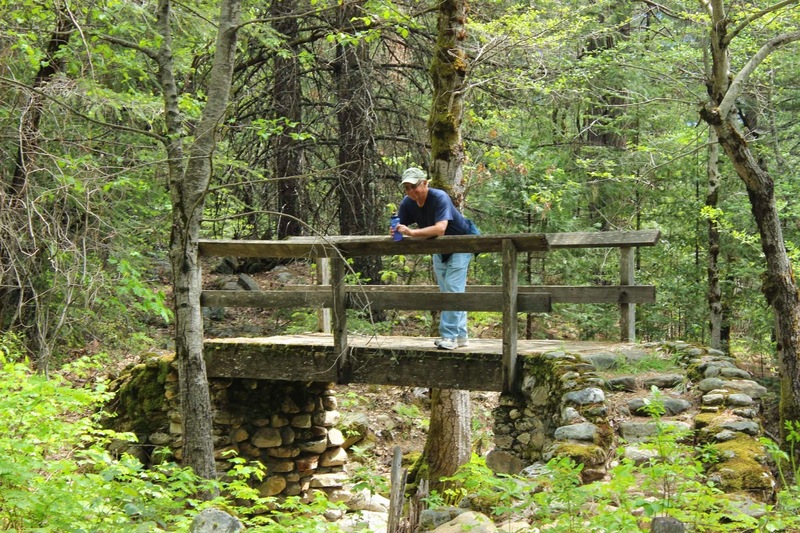 We are always telling you about Civilian Conservation Corps constructions from the 1930's all across the U.S., especially in state parks. This is a Diablo Stove. Many were built here and many still remain. 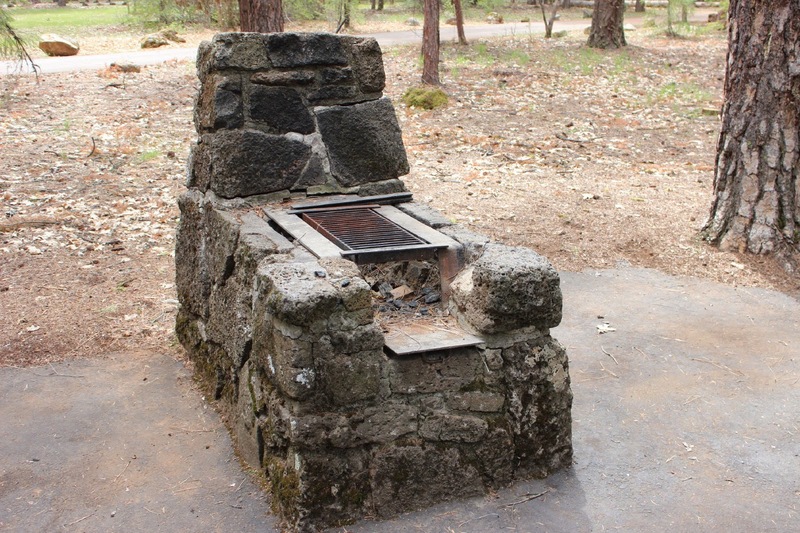 A very efficient camp stove with easy access for removing old coals, good ventilation, and a good, large grate for cooking with an additional solid grate for frying or other. 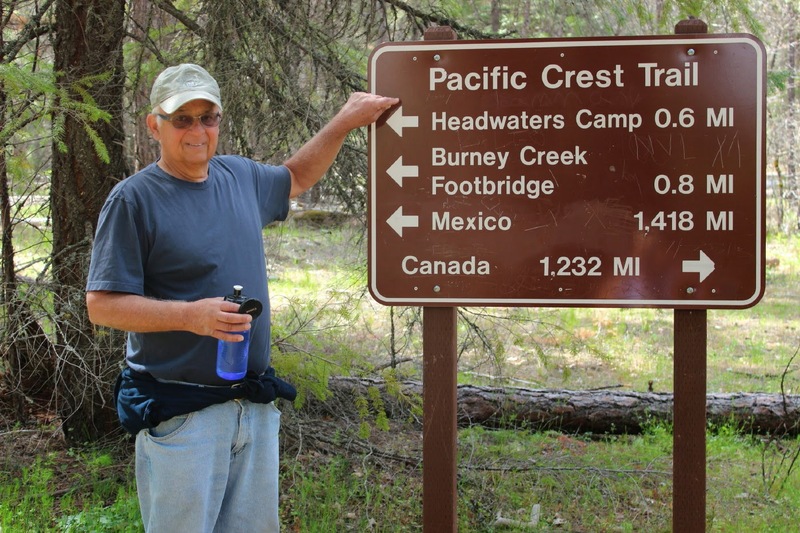 On of the great hikes meets up with the Pacific Crest Trail. Note the distances to Mexico and Canada. Bruce was insisting we wait for Reese Witherspoon(the movie Wild). But, Jan was sure she was not going to be here. The views from above the falls are also quite enjoyable. Often, you come across some fellow tourists who would like their picture taken together at some great viewing spot. Then, you reverse and ask them if they might also take your picture. Actually, you can have some great conversations this way. But, off we go on Route 89 again. 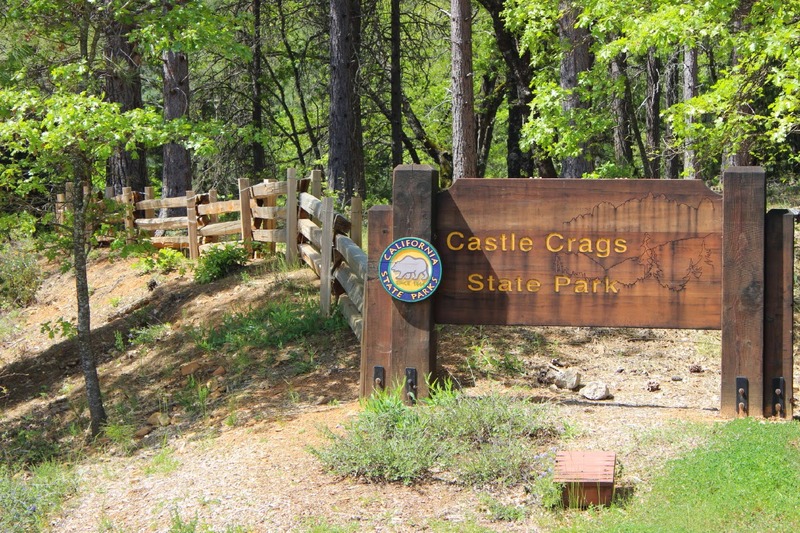 Over to Route 5 and then south for about 12 miles to Castle Crags State Park. A little questionable at first because it is so close to the interstate. But indeed a very enjoyable park. Our first hike takes us under the interstate and under the train tracks and then over this suspension walkway over the Sacramento River. It then continues for a few miles along the river. You understand that this park was here before the interstate. 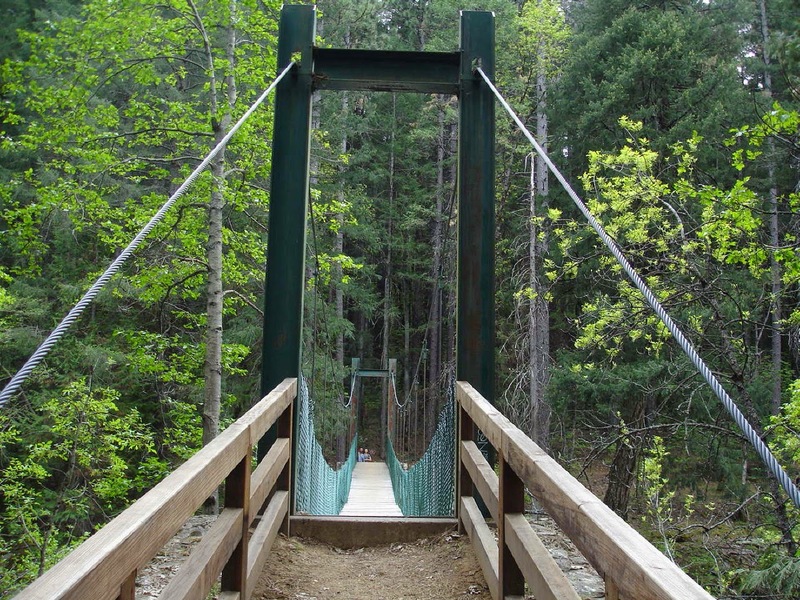 Along the nature trail is another example of CCC construction from the 1930's. Unfortunately, the building of the interstate destroyed a number of CCC buildings. Almost everything here is on a hill. 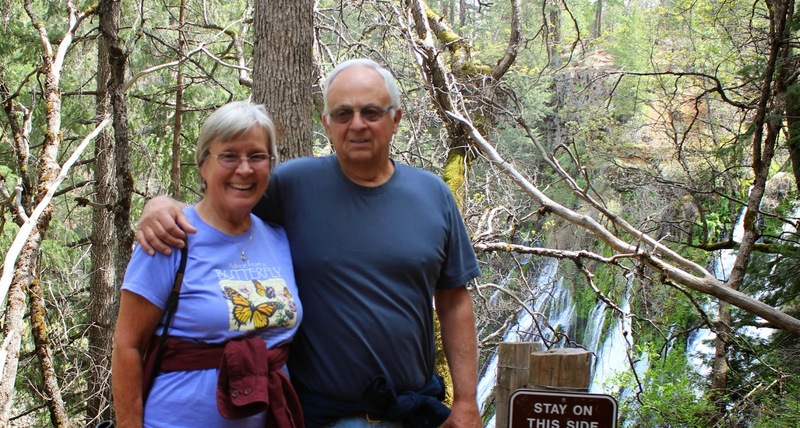 Jan and I hike up a very steep road to a vista. 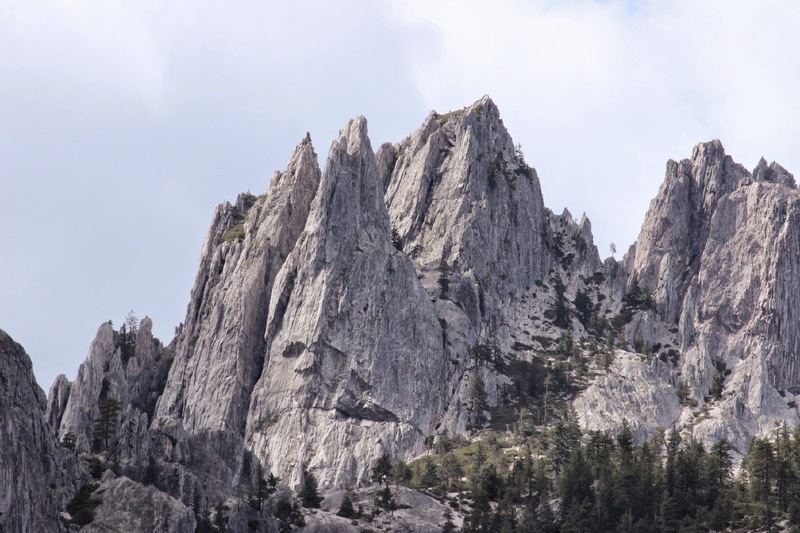 One view is of Castle Crags. Can you find that great face on one of the walls? These granite walls rise to more that 6500 feet. 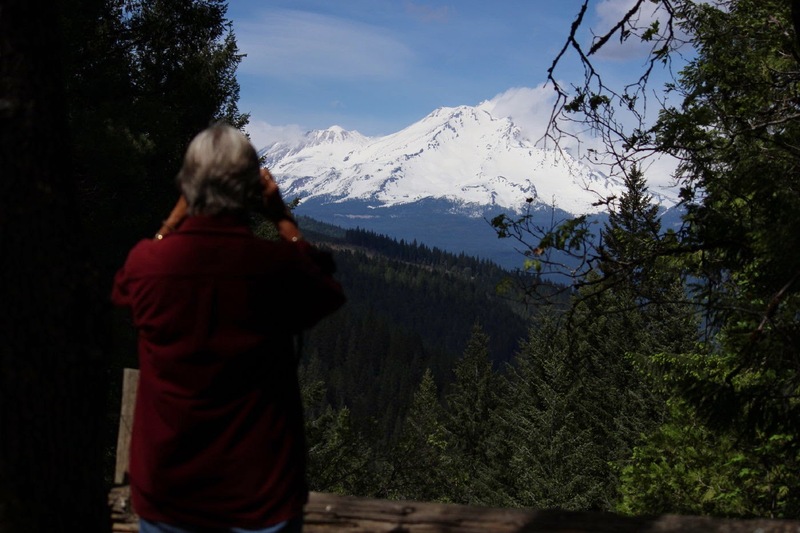 At the same vista, Jan has a great view of Mount Shasta. 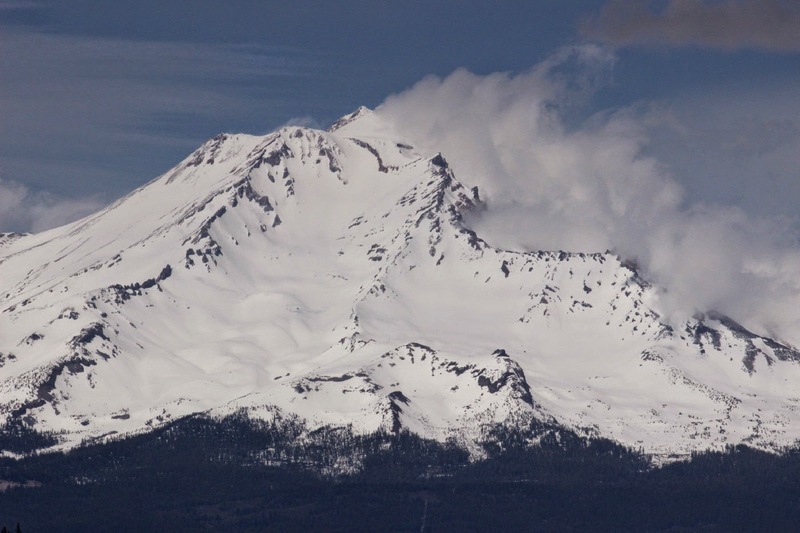 What a great example of how a 14,162 foot mountain can force moisture filled air up one side and create clouds. There are many roads that will give you a mountain view. Got to say, this sudden vision as we head back north to the city of Mt. 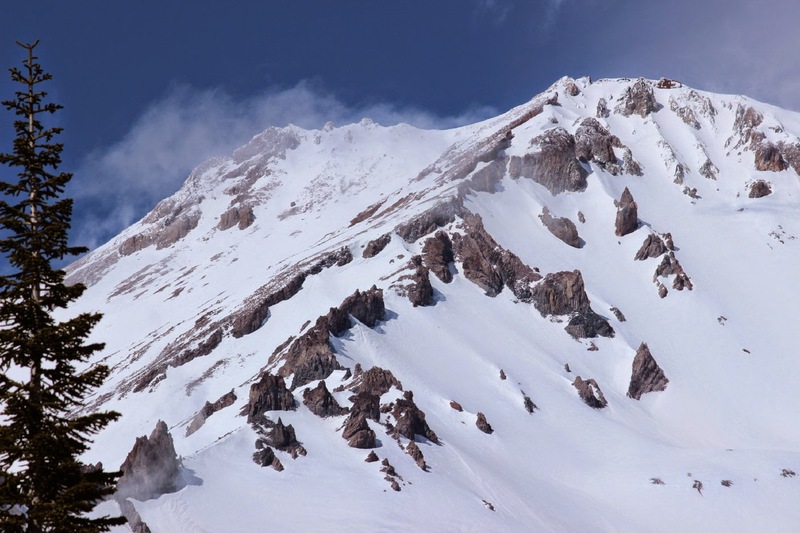 Shasta is spectacular. A quick stop at the visitor's information and we learn that we can drive Lady Blue up the mountain road. Not only that, but we can park overnight at Bunny Flat where the road is currently blocked for the winter. 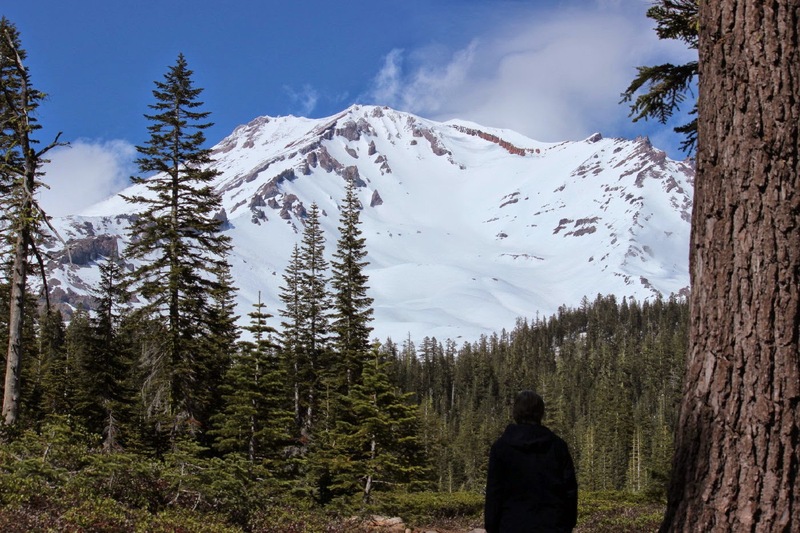 Jan is enjoying the view from our new camping spot for one night at 6950 feet. We were not alone. But all of the other 30 or so vehicles were here to hike or to ski. We saw so many who put on large backpacks with skis attached and started out to the peak wearing ski boots! One said he got up very early and hiked all the way to the peak. He said the skiing was fantastic. This is the view from Lady Blue's rear side window at sunset. The sun still shines beautifully on the peaks. It is very difficult to leave such a great area. 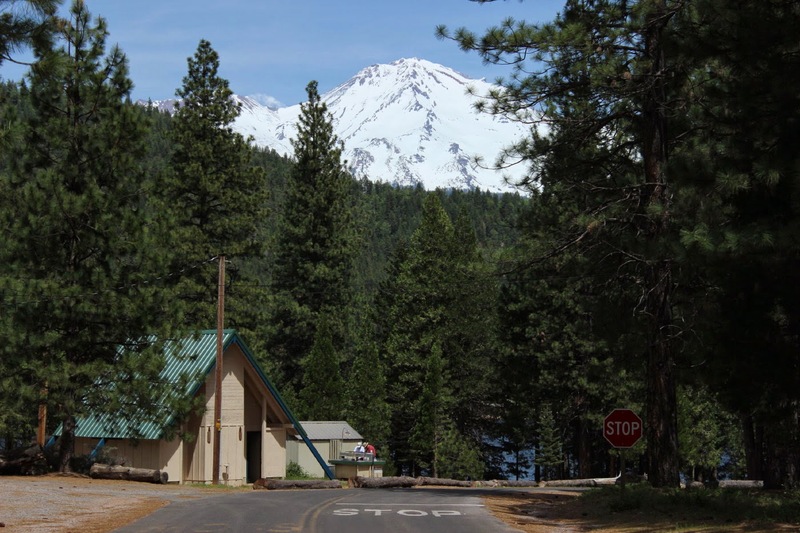 So, after some shopping in town, we go a little west of town to Lake Siskiyou Camp Resort. Some 300 plus campsites, but only a handful were being used this early in the season. This is heading down to the boat launch. 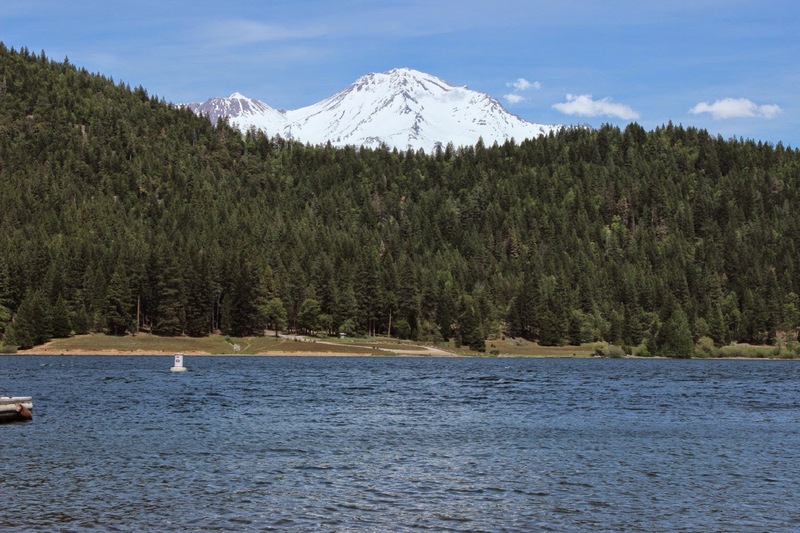 Two men are cleaning a cooler full of fish and, of course,there is a beautiful view of Mount Shasta. From the marina. There is a 7 plus mile hike around the lake that appears to be very well used. The workers here indicated that this campground will be totally full on July 4th. You can probably understand why.